1.Click the button at the top right of the pane. 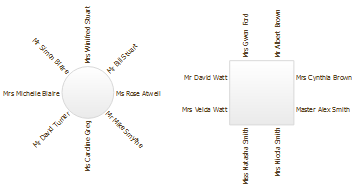 2.Select the appropriate entry from the Display drop-down list. 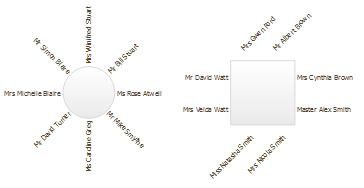 2.Select the appropriate entry from the Seats drop-down list. Circular seats are the easiest to drag onto. You can always change to a more aesthetic layout later. 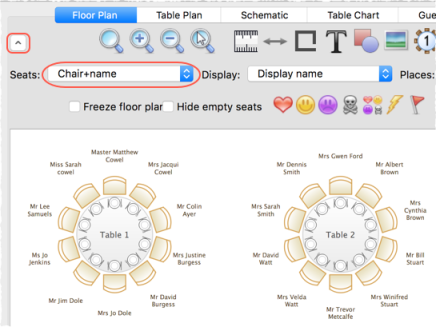 Note If the name of a guest can't be fitted into the space available in the Floor Plan or Table Plan pane, the font will automatically be scaled smaller for that name to make it fit.